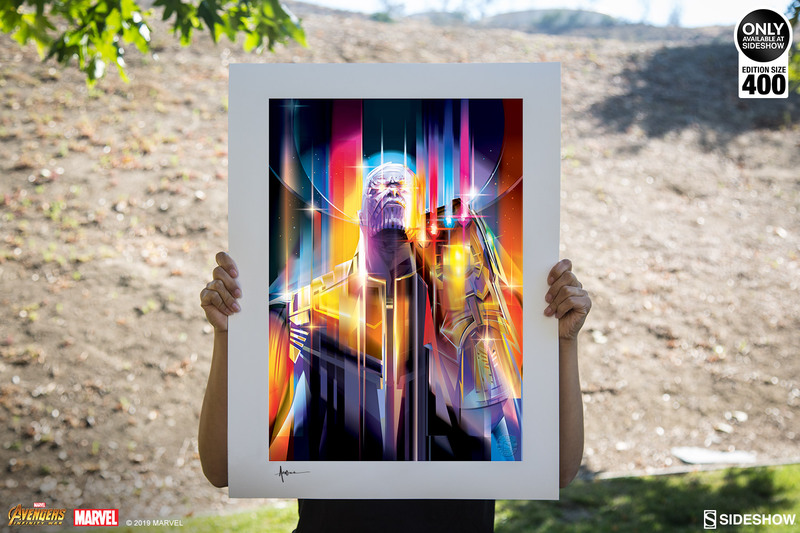 Sideshow presents the Thanos: Infinity War Fine Art Print by artist Orlando Arocena. 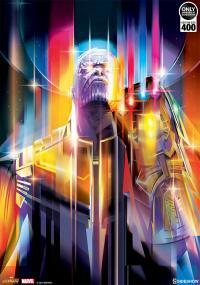 With the power of the Infinity Gauntlet at his fingertips, Thanos reigns supreme over the Marvel Cinematic Universe. 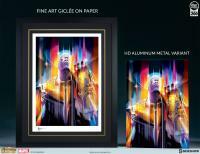 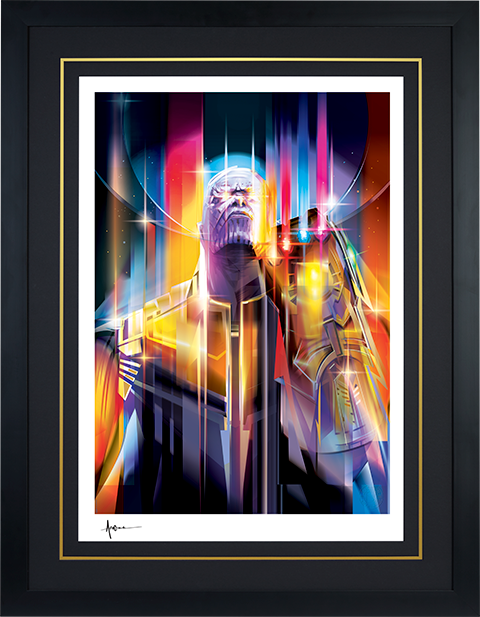 Based on his world-shaking appearance in Avengers: Infinity War, this Marvel fine art collectible captures the imposing and relentless resolve of the Mad Titan as he manipulates Time, Space, Power, Reality, Mind, and Soul to achieve his ultimate goal of balancing the universe. Artist Orlando Arocena utilizes bright colors and complex vectors to bring this unique illustration to life, making this fine art collectible a must-have for any Marvel fan. 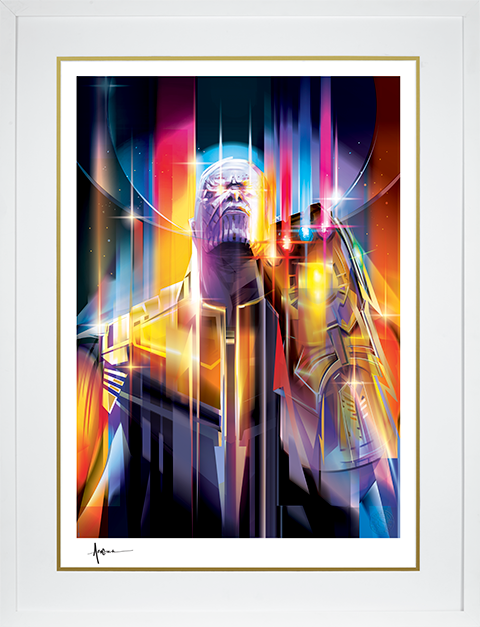 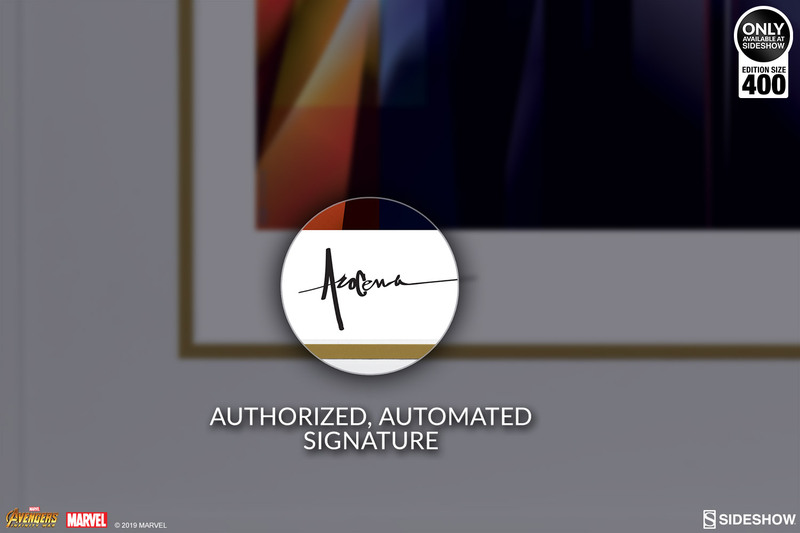 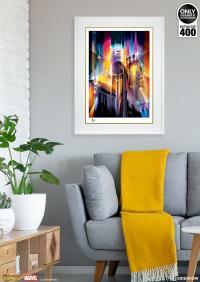 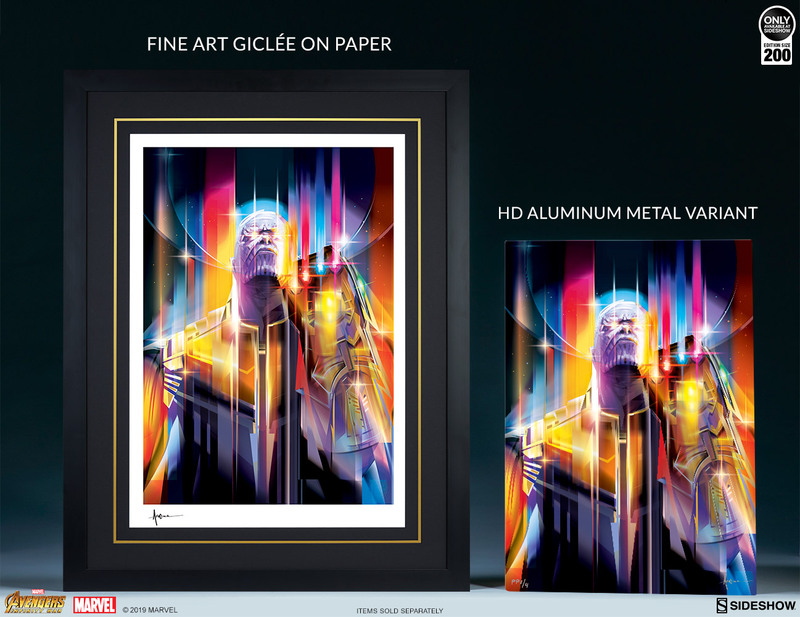 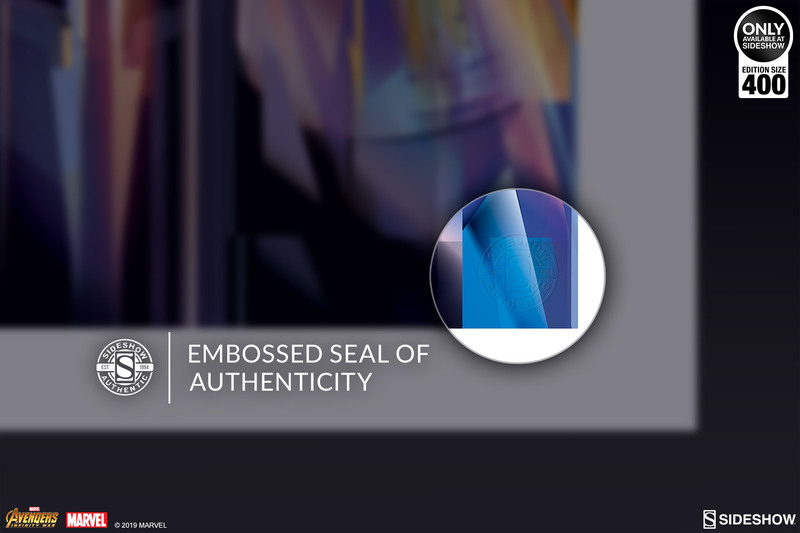 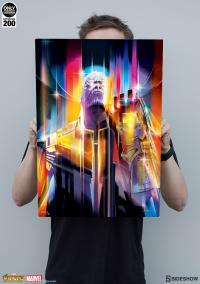 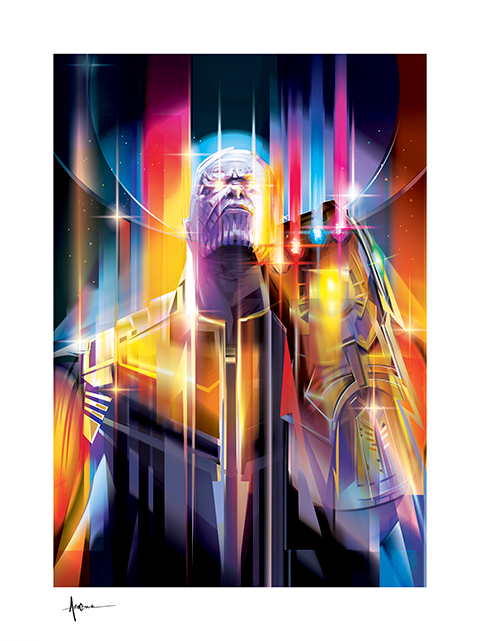 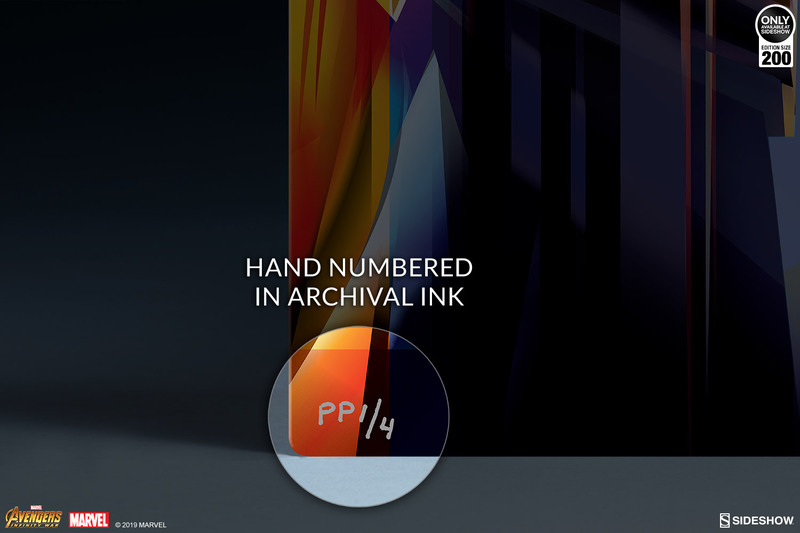 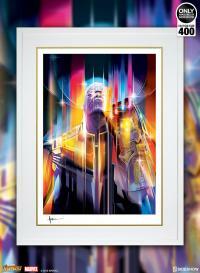 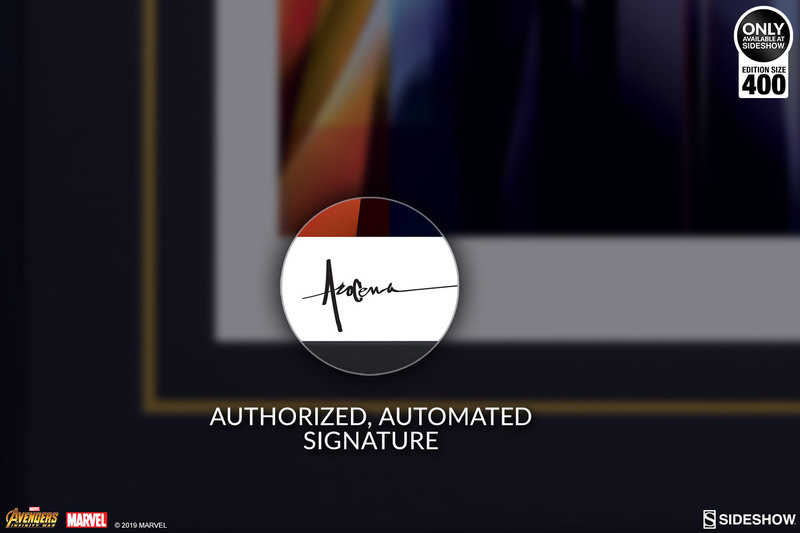 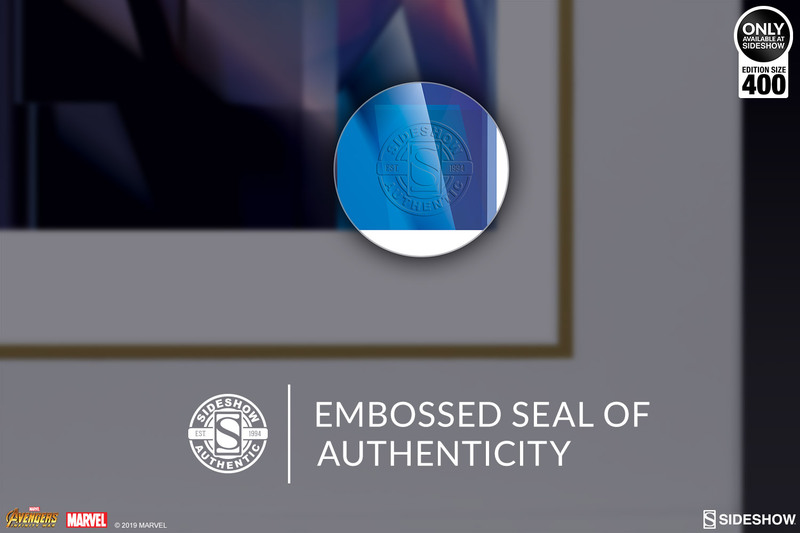 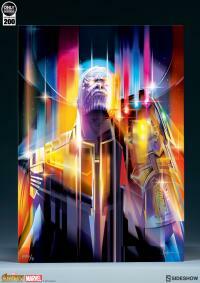 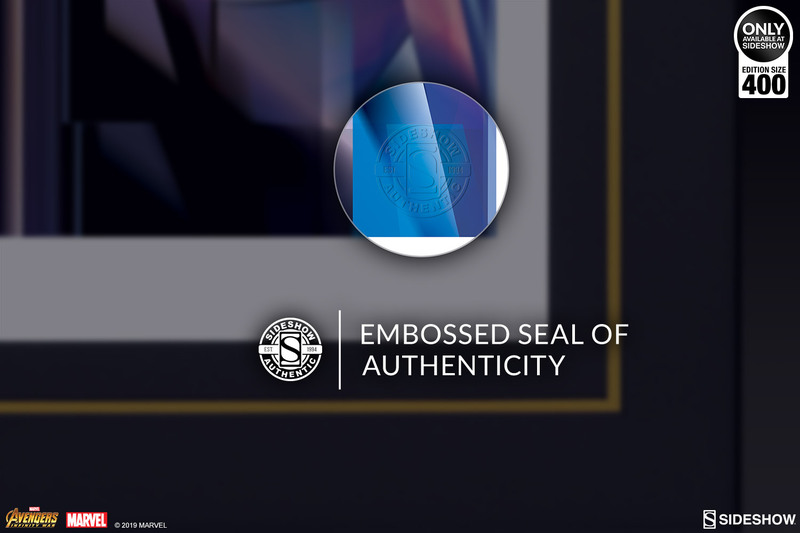 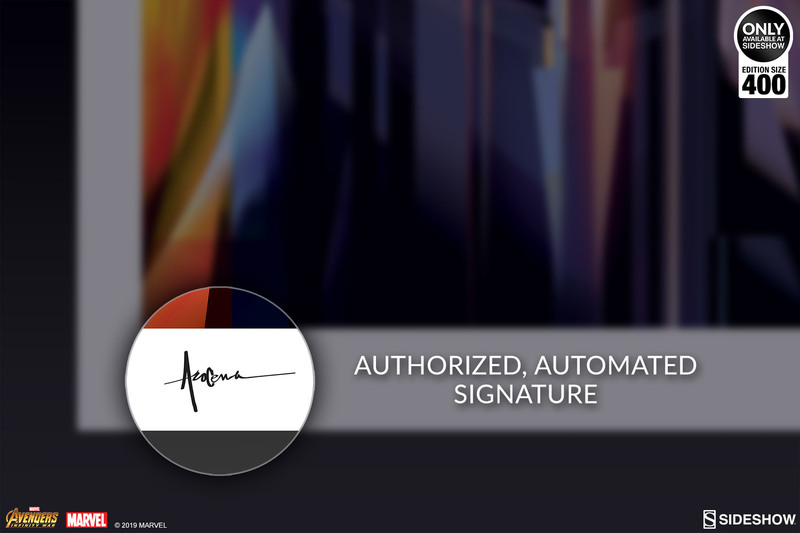 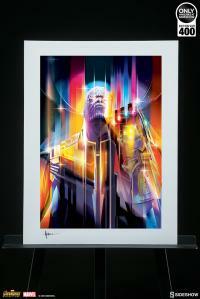 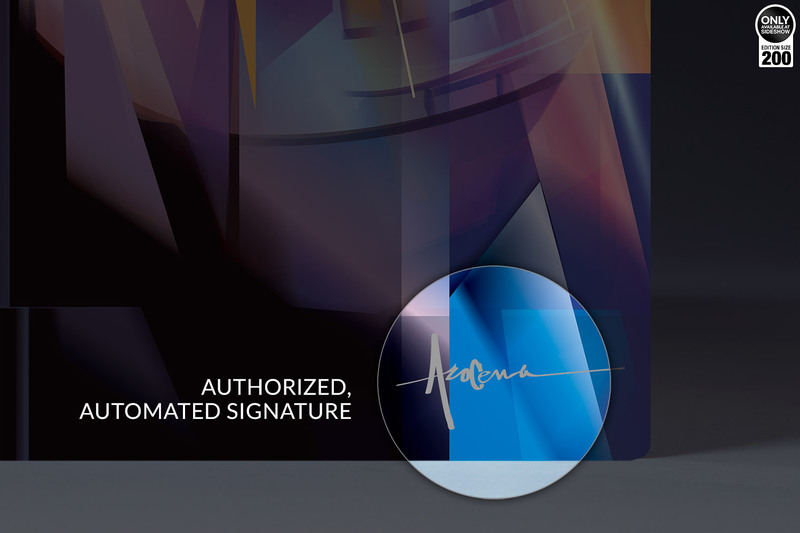 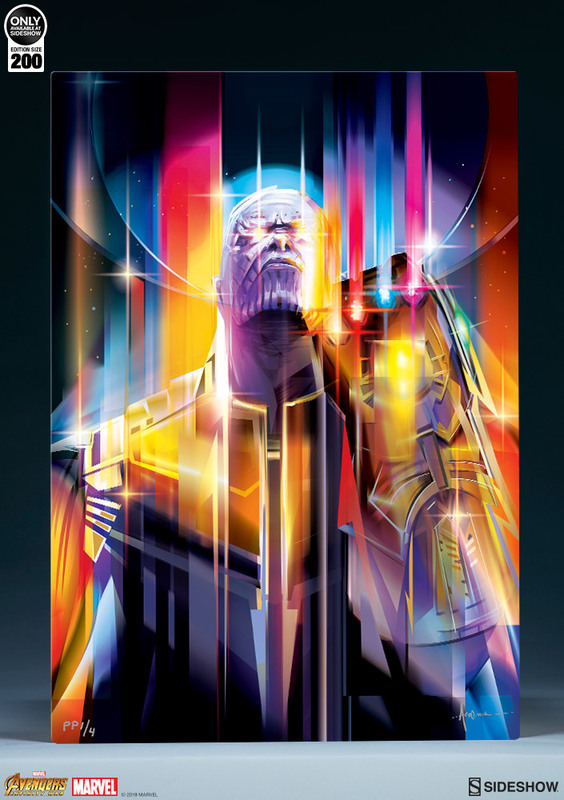 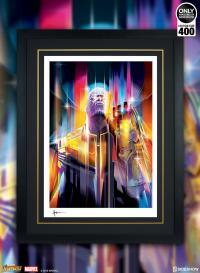 Each Thanos: Infinity War Fine Art Print features an authorized, automated pencil signature and an embossed Seal of Authenticity as a part of the limited edition of 400 pieces. 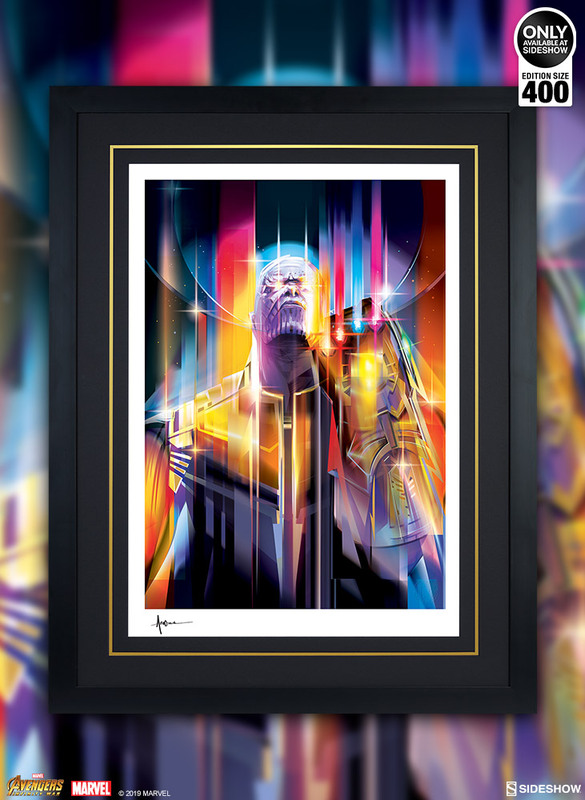 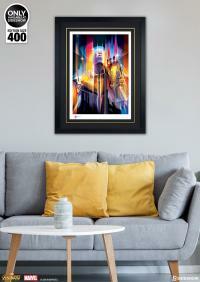 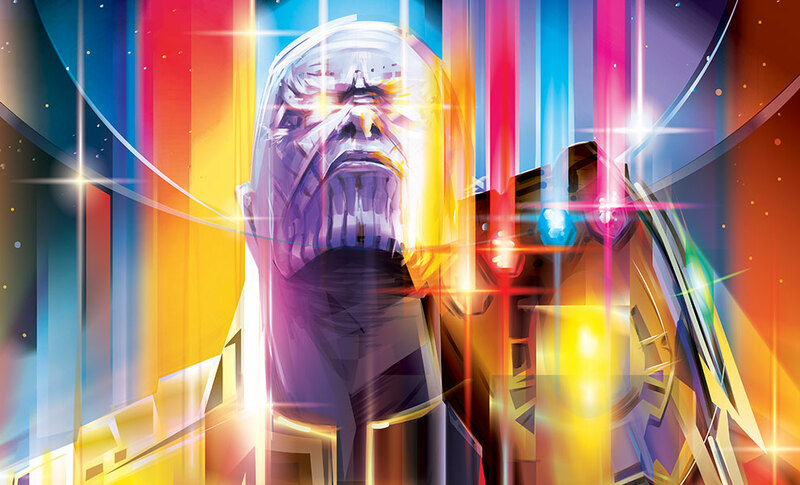 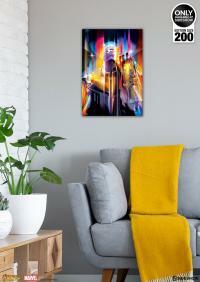 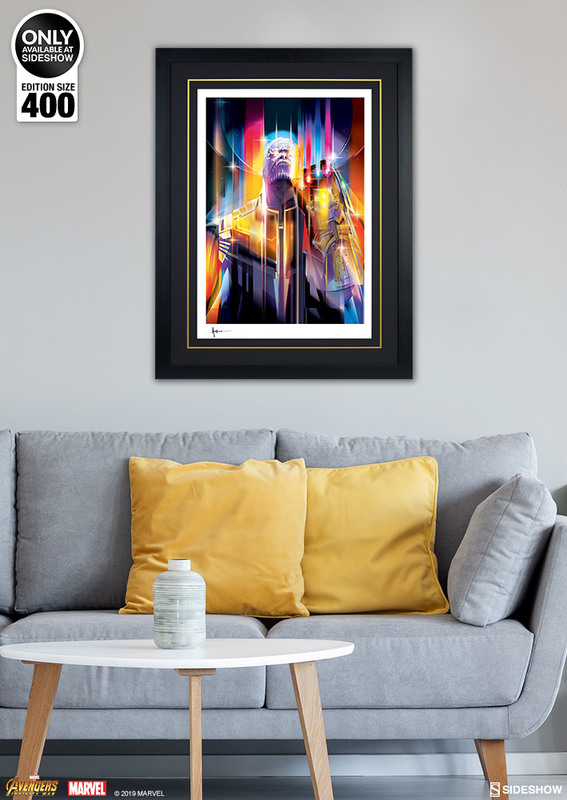 Perfectly balance your Marvel artwork collection with the Thanos: Infinity War Fine Art Print by Orlando Arocena today. 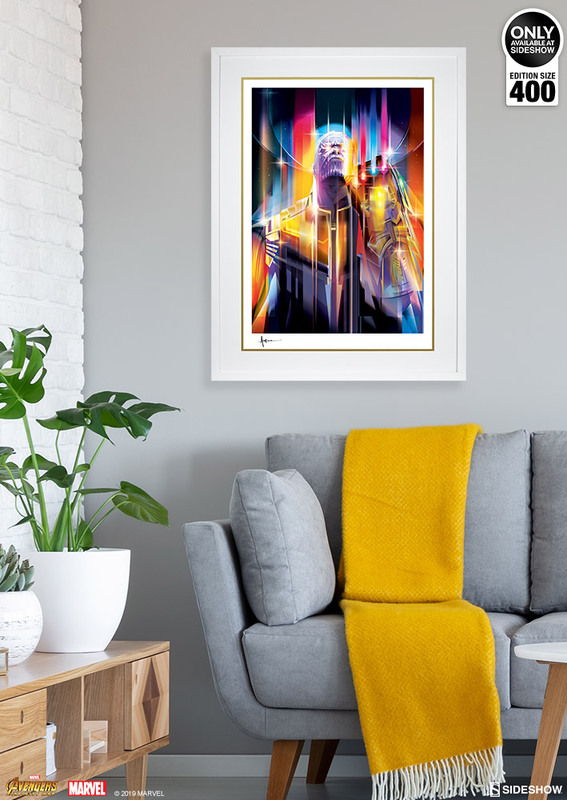 Orlando Arocena is a Mexican-Cuban-American who enjoys delivering creative solutions for some of the world's most renowned brands- while also pursuing his artistic endeavors. 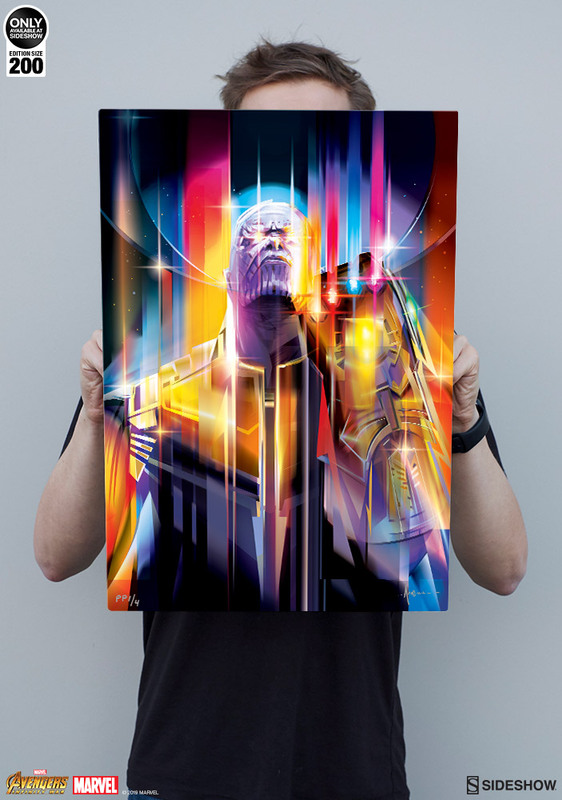 He believes that every opportunity is a chance to gain a new experience, a moment to build a relationship and a time to share the rewards of the final result.